This is the new and improved PureVision contact lenses, with improved surface wetting and comfort. 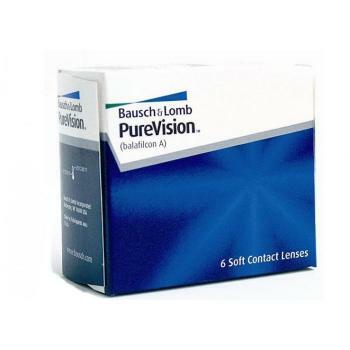 Bausch and Lomb PureVision contact lenses are made from a silicon based material. This offers outstanding comfort and health benefits by resisting drying and allowing more oxygen to reach the front of the eye. Please note, this lens has now been superseded by the newer PureVision 2 HD.